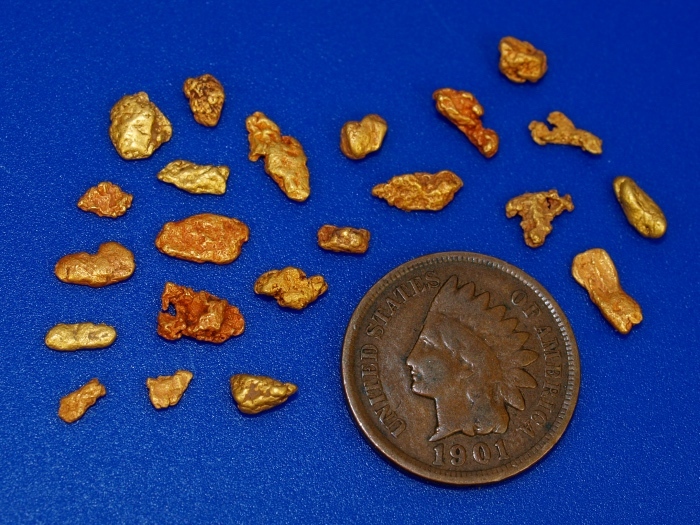 Here's a nice collection of chunky little gold nuggets from the Bradshaw Mountains in Arizona. 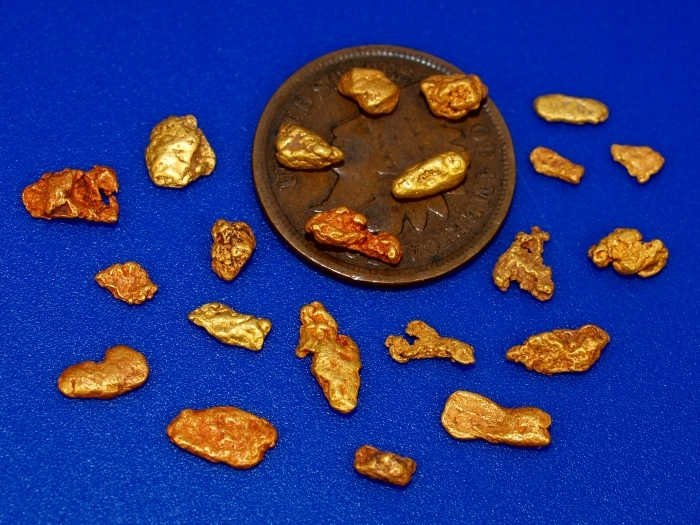 They are fresh out of the ground and some of them still have a nice reddish patina from the iron rich soils of this area. 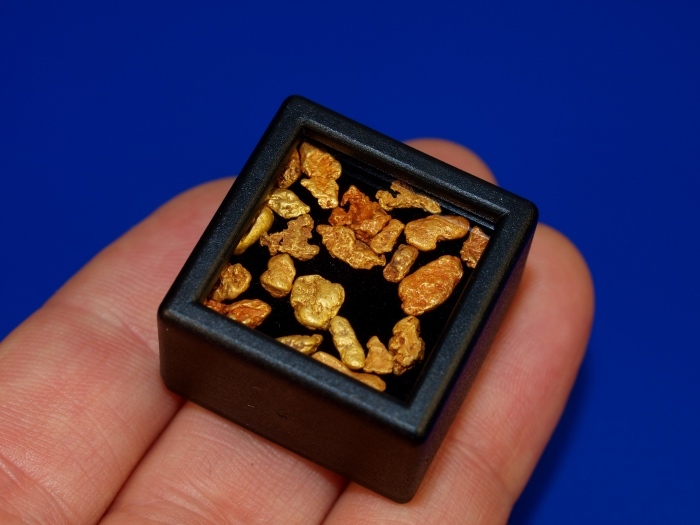 These have a combined weight of 4.55 grams.